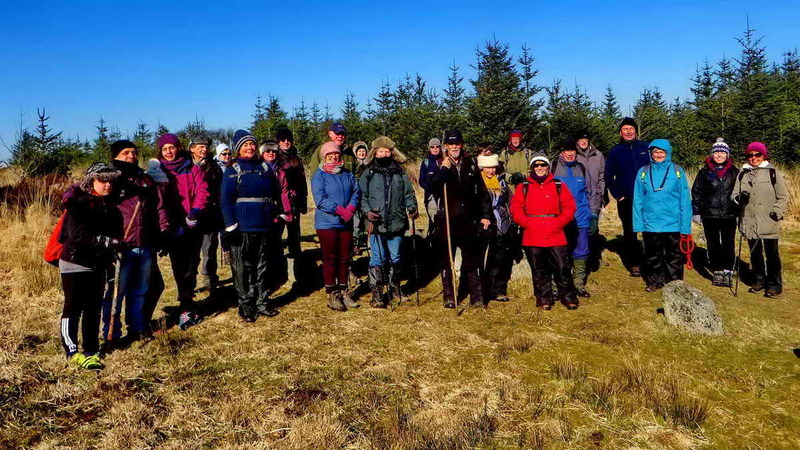 DPA Short Walk – Lakehead Hill – 25 Feb.
Twenty-eight members and friends met in the main car park at Postbridge on Sunday 25th Feb. for a walk through the antiquities on Lakehead Hill and out to Bellever Tor. The weather was forecast the previous day to be cloudy with the temperature at 0 °C “feeling like -6 °C. 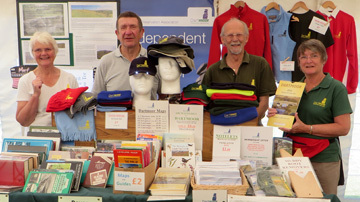 In the event there was blue sky and glorious sunshine for the walk and it felt nowhere near as cool as had been predicted. So much for my email to the group the evening before to wrap up warm! 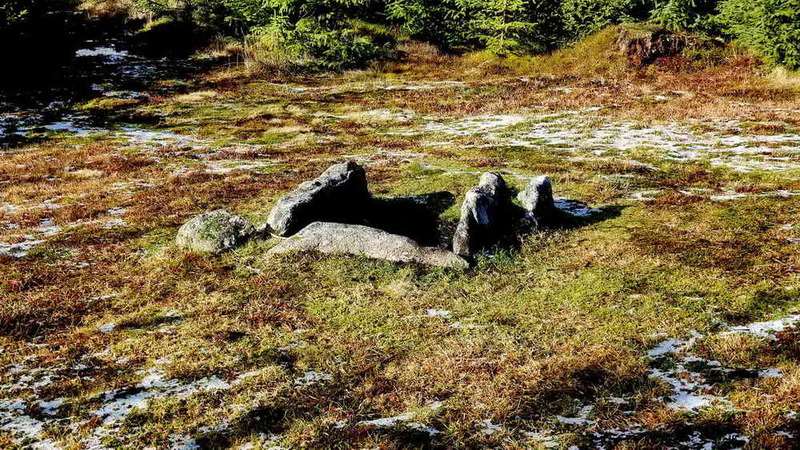 After the briefing, we set off through Bellever Forest to the northern edge of Kraps Ring, a roughly circular enclosed settlement with a diameter of over 100-netres. It can be seen in the photograph that the vegetation in the open area here is mostly long Purple Moor Grass, Molinia. 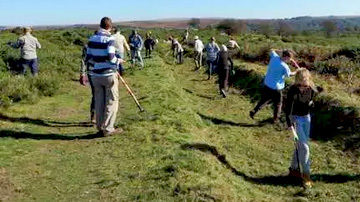 The monument was cleared recently by volunteers of Dartmoor Pony Heritage Trust. 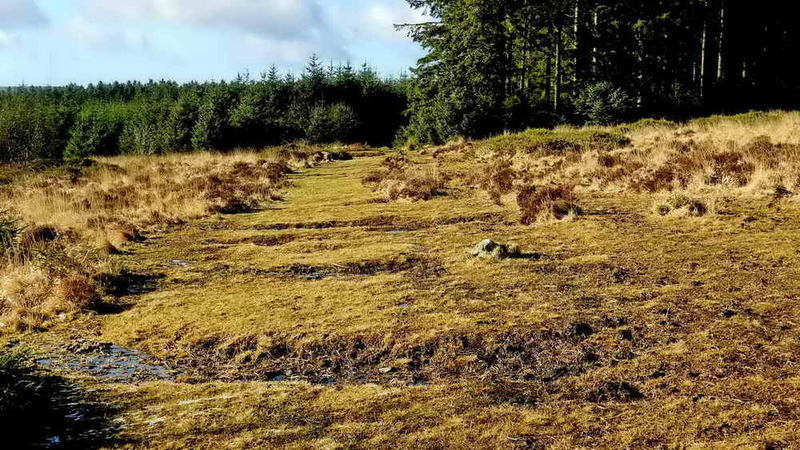 Records indicate that there are remains of eleven round house hut circles although a twelfth has been confirmed recently and there is possibly another: Devon & Dartmoor Historic Environment Record: MDV5861. The Bronze Age artefacts seen today lie in a belt from Kraps Ring to Bellever Tor. 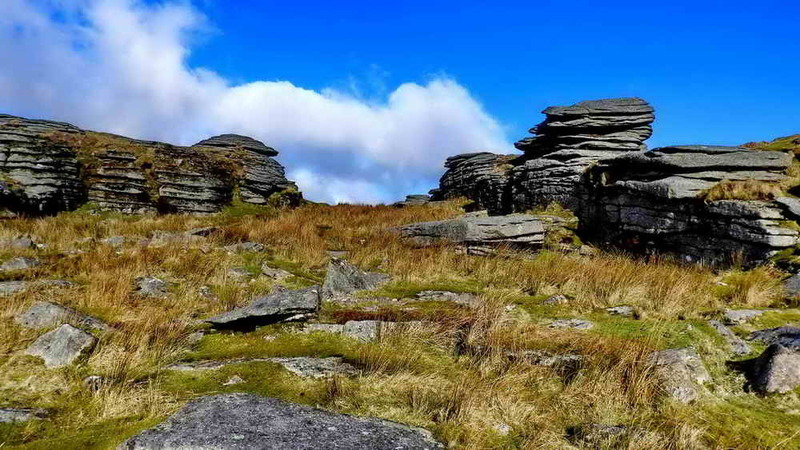 By 1938, the eastern slopes of Bellever Tor and Lakehead Hill were planted and the western slopes between 1940-1943. Source: The New Forests of Dartmoor (1964), London HMSO, Forestry Commission booklet No. 10, pages 6-10. 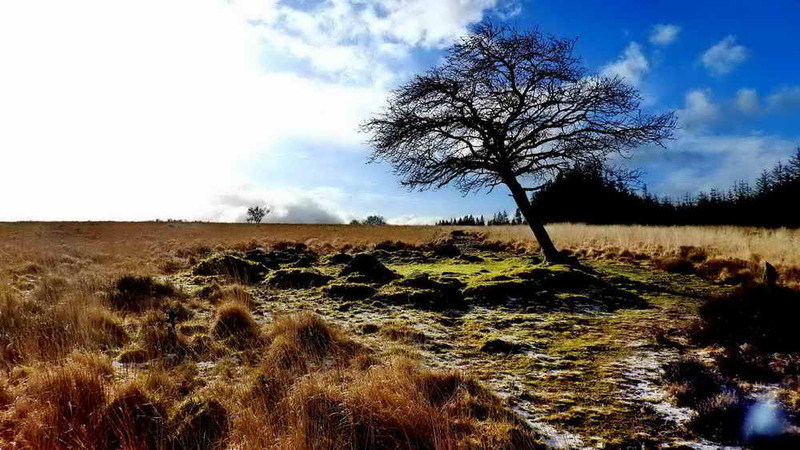 During the planning stages for forestation, Dartmoor Preservation Association campaigned to keep the Bellever area free of trees because it was so rich in antiquities. 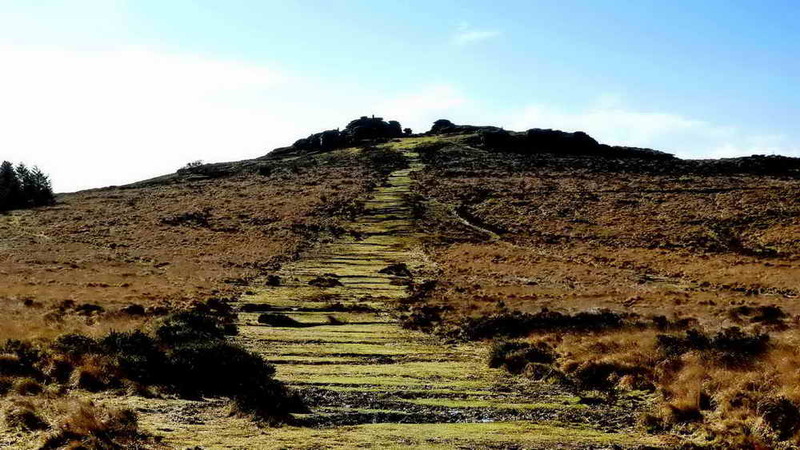 Eventually it was agreed that planting would leave this clear belt running from Kraps Ring up over Lakehead Hill and down to Bellever Tor so that much of the antiquities would not be lost. Source: Matthew Kelly (2015). Quartz and Feldspar. Jonathan Cape, London, pages 248-260. 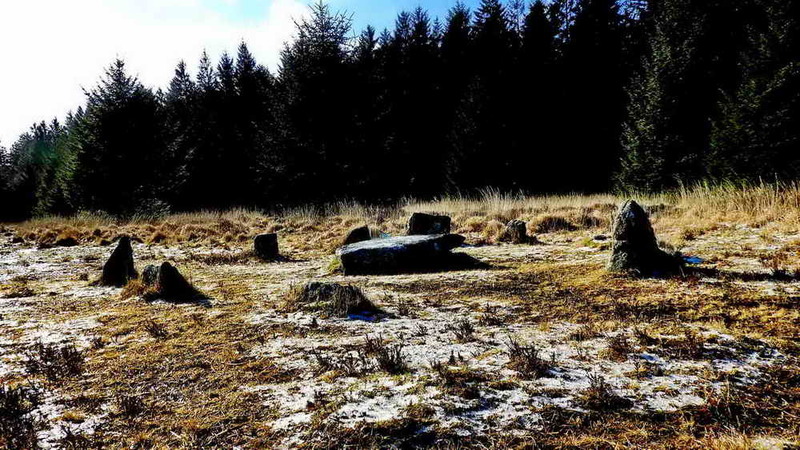 This photograph shows one of the more obvious hut circles in the enclosure. 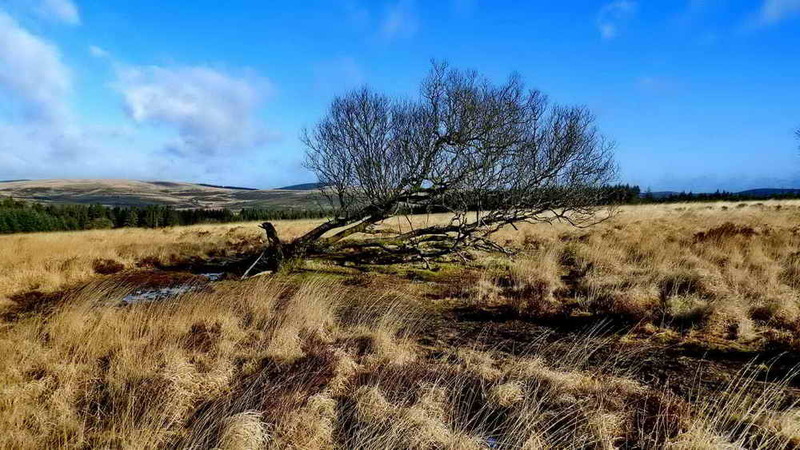 As Lakehead Hill is quite exposed, the effect of the wind are felt very keenly at times and this isolated tree above was been blown over aeveral years ago but still clings to life. Stone row, possibly double, at SX 64367 77656, looking west toward Longaford Tor ….. photograph taken from a low angle: Devon & Dartmoor Historic Environment Record: MDV5930. 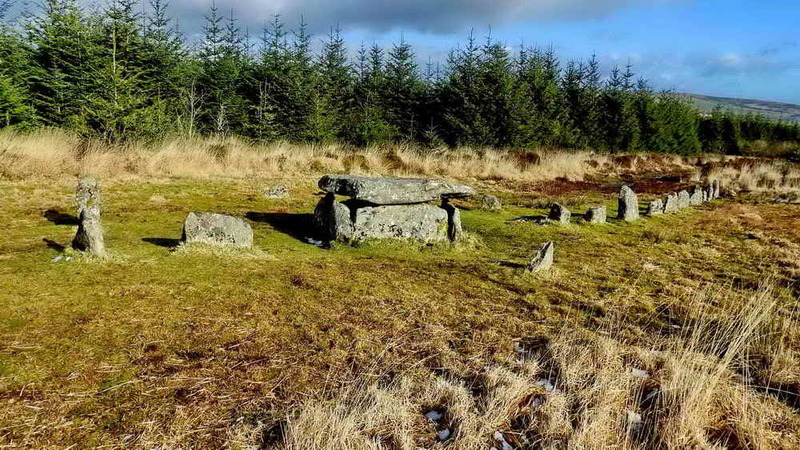 Cairn circle, cist and stone row, at SX 6449 7760: Devon & Dartmoor Historic Environment Record: MDV5873 …..
Cist or kist – from “kistvaen“: A stone box or coffin, from the Celtic cist, a chest, and maen, stone, v being used as a mutation of m. (Source: Crossing’s Guide to Dartmoor, 2nd edition 1912, reprinted 1990, page 22). Looking west along the Lich / Lych Way (towards Beardown Tors), there are well-separated, low stones along here, as markers? ….. 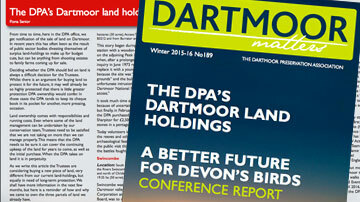 This was the track by which the residents of the local farms (Dartmoor’s ancient tenements) attended church services at the parish church at Lydford – the parish of Lydford was large. It was the “Way of the Dead”, named after the corpses who were carried 12 miles to their final resting places at Lydford. In 1260, the residents petitioned the Bishop of Exeter and were eventually allowed to attend church at Widecombe, which was closer. 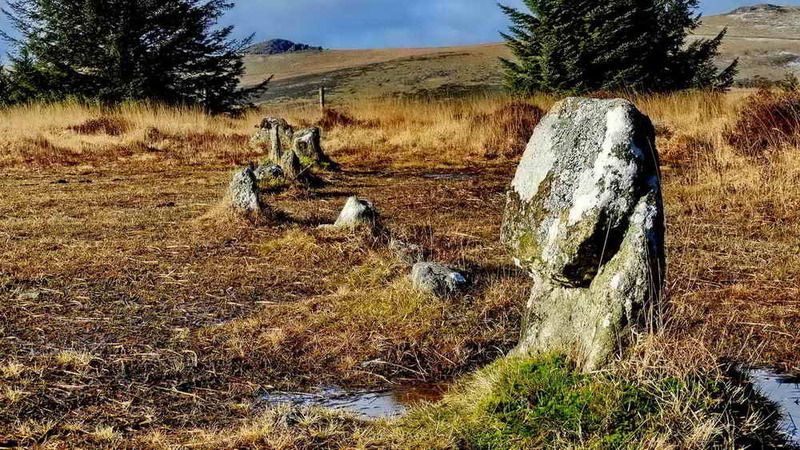 The Lich Way remained in use however because of the need to attend the Stannary courts until they ceased in the 1800s …..
Bellever Tor, at SX 644 764, elevation 443 metres (1453 feet), is an obvious “avenue tor” where there is a central gap between separated piles of granite, this is an effect of differential weathering over millenia. 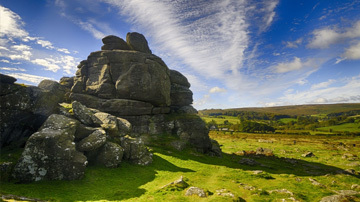 Hey Tor, Rippon Tor and Hound Tor are similar. 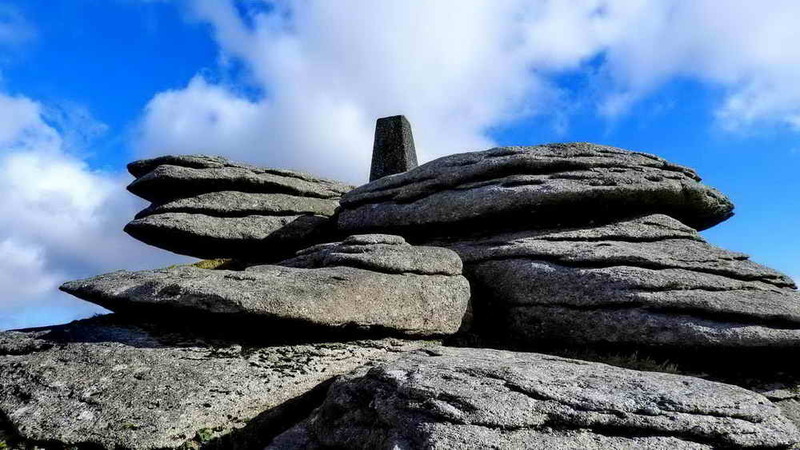 The triangulation pillar on Bellever Tor, a good diagram of a pillar can be seen here ….. there is an interesting video in the article about halfway down the page. Looking at the tor from the south. Kist, at SX 64708 77171 ….. Devon & Dartmoor Historic Environment Record: MDV5879. All in all, this was one of the best group walks I have had for a while, and our Short Walks have mostly been quite good but the weather today, the sun and the clarity to the horizon was something to be remembered. 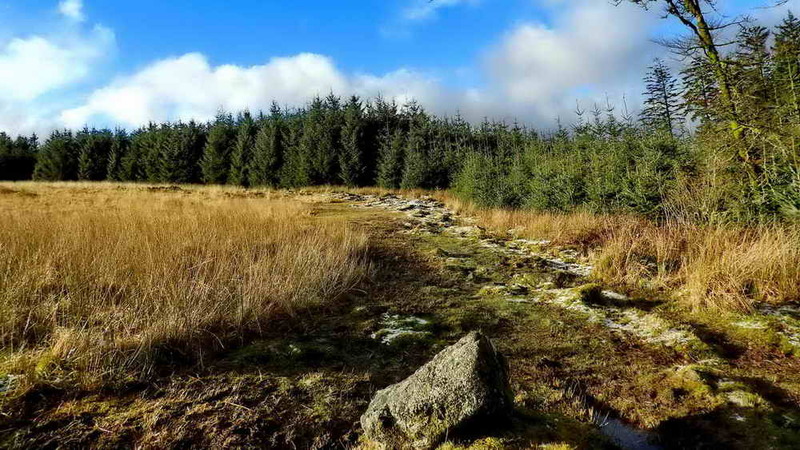 It also helped in that the ground was excellent, not the squelch squelch I had on some “recon” walks – it was frozen solid and that helped a lot.